Suu Kyi 'wins landmark election' Jump to media player Burma's Aung San Suu Kyi wins a landmark by-election, her party claims, as the country's tentative political reforms are put to the test. 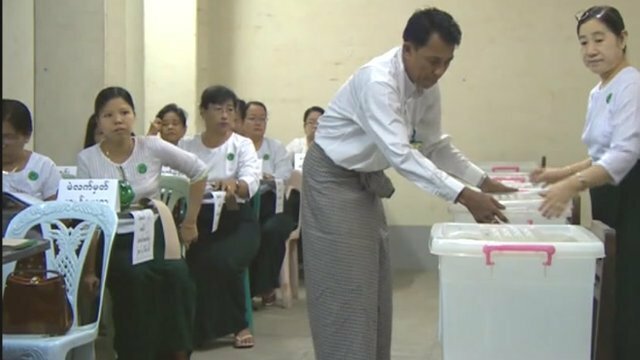 How a Burma polling station works Jump to media player Voters are going to the polls in Burma in by-elections seen as a key test of the military-backed government's commitment to political reform. Burma's Suu Kyi 'wins by-election' Jump to media player Burma's Aung San Suu Kyi wins a landmark by-election, her party claims, as the country's tentative political reforms are put to the test. 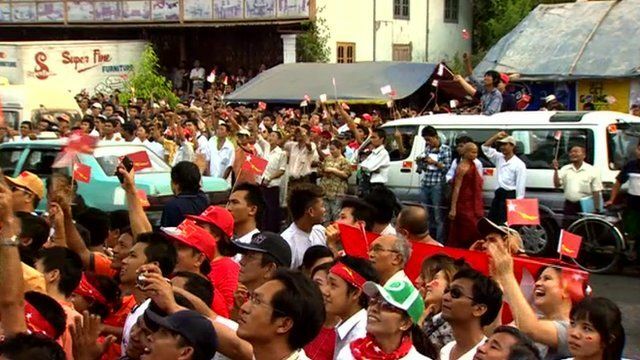 Burma's Suu Kyi at polling station Jump to media player The BBC's Rachel Harvey reports from a polling station in Rangoon as thousands of Burmese vote in by-elections, which see Aung San Suu Kyi running for political office for the first time. Burma's pro-democracy leader Aung San Suu Kyi has won a parliamentary seat in a historic by-election, according to her party. 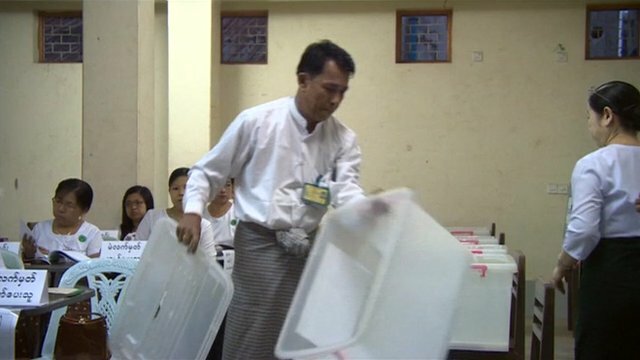 The polls are being seen as a crucial test of the Burmese government's commitment to political reform, which could eventually convince Western governments to end sanctions against the country.